Supple and layered with tons of bright red fruit aromas that interplay with oak, vanilla and subtle earth notes. On the palate, vivid flavors of black cherry and raspberry are wrapped with elegant silky tannins and a lush finish. 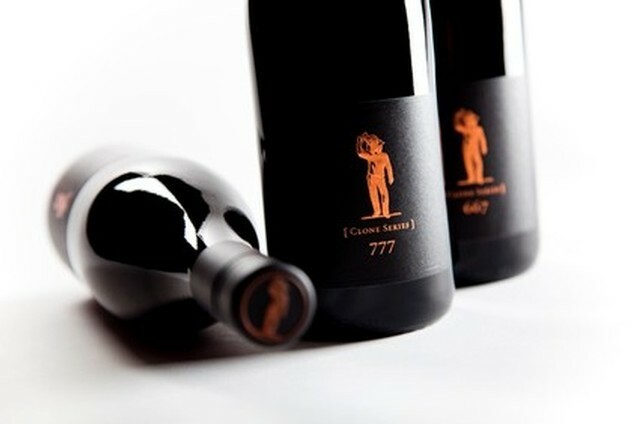 Our Dijon clone 777 yields a dense and complex wine with highly structured tannins built to age. Handcrafted in minute amounts, this Pinot possesses exotic spice aromas, black cherry and cassis ﬂavors and a silky texture. A dramatic and vibrant wine, our Pommard clone Pinot Noir has aromas of black cherry, raspberry, cola and vanilla mingled with a hint of clove. The tannins are soft and the palate is rich and round. Only 81 cases produced.